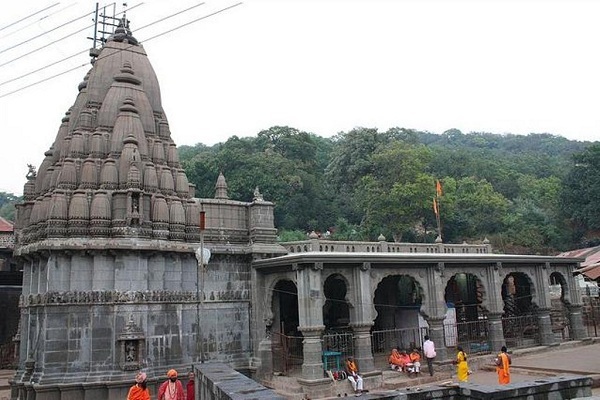 One of the dwadasha jyotirlinga of lord Shiva, Bhimshankar temple is located at a distance of 120kms from Pune in Maharashtra. This place is also the origin of river Bhima which flows from here and mergest with river krishna eventually. As per the legend, in the deep forests of Sahayadri mountains, there lived an evil asura named as Bhima with his mother Karkati. Bhima was such a ruthless Asura that all the creatures on earth were heavily scared of him. He was very furious and didnt show any mercy to mortals or immortals. Driven with the deep wrath and anger, due to his unclear identity, he approached his mother and asked her about his father. Mother, first hesitated but later disclosed that his father was Kumbhkarna, the brother of Lankapati Ravana, who was killed by lord Rama. Extremely angry on hearing this, Bhima decided to take revange from Lord Vishnu, and thus started very hard Tapa for Brahma. Brahma, the creator of the universe, pleased with his devotion and granted him immense powers. Bhima has now become too powerful to handle, He started destroying ashrams, killing rishis, and even attacked on Swarga and defeated Indra.He made the staunch shiva devotee Kamrupeshwar as his prisnor and, tortured him. One day he asked Kamrupeshwar to stop worshiping Shiva and, start worshiping him. When Kamrupeshwar refused, he took his sword and attacked on Shiva lingam. Then, lord shiva appeared in the scene and killed the Bhimasura in a fierce war. Later, all the Shiva devotees request him to manifest himself on the place where Bhimasura was killed. And, therefore, this place is called Bhimashankar Temple today. The architecture of this 13th century temple is mostly based on nagara style. The ancient shrine was renovated by Nana Phadanvis in 18th centuries. 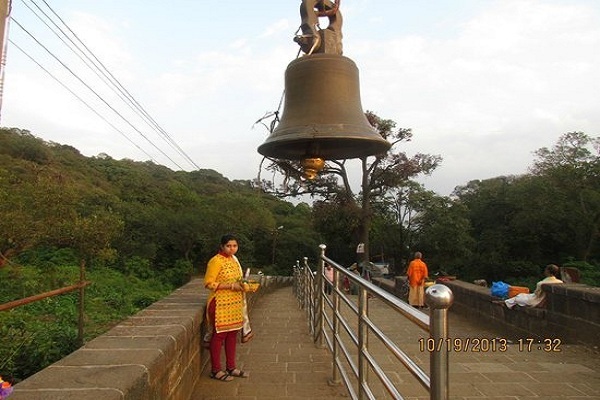 The temple hosts Shiv lingam and a giant ghanta, or bell. 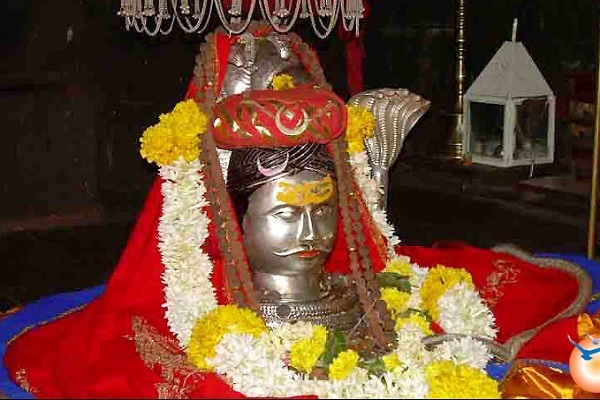 Darhan Timings: The darshan opens for visitors after Kakada Aarti at 5.15 am Mangala Aarti at 5 am and closes at 10.30pm. 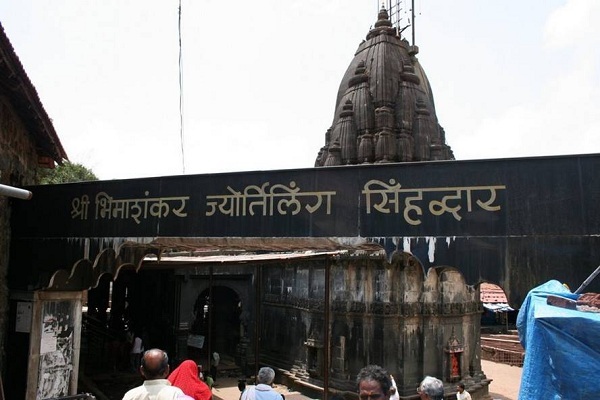 : To reach Bhimashankar temple, visitors can take roadway buses from Shivaji Nagar in Pune which is very well connected to all parts of India through road, rail and air routes.